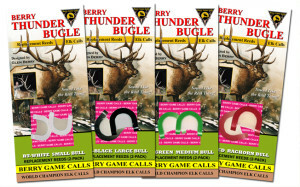 Picture shows all four Different styles of Replacement RT-Reeds for Mini Thunder Bugle and Thunder Bugle and Thunder Bugle Pro. 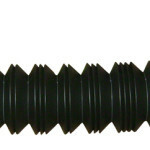 The Thunder Bugle Black single RT- Reed Consist of 1 thick layer of latex, this Reed is designed to get a Medium to larger bull sounds with excited bull tone range. RT- Reeds come in a Two Pack!